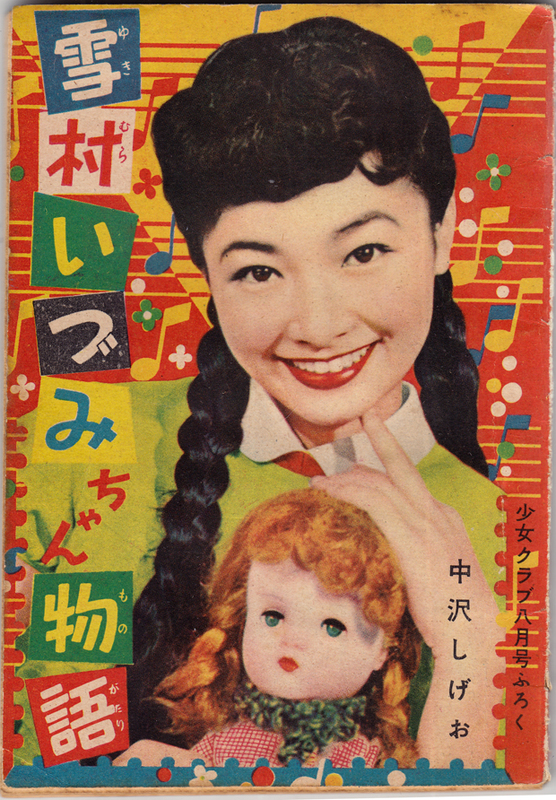 I continue my sporadic exploration of old shoujo manga through obscure (to me, anyway) books obtained through Yahoo Japan auctions. 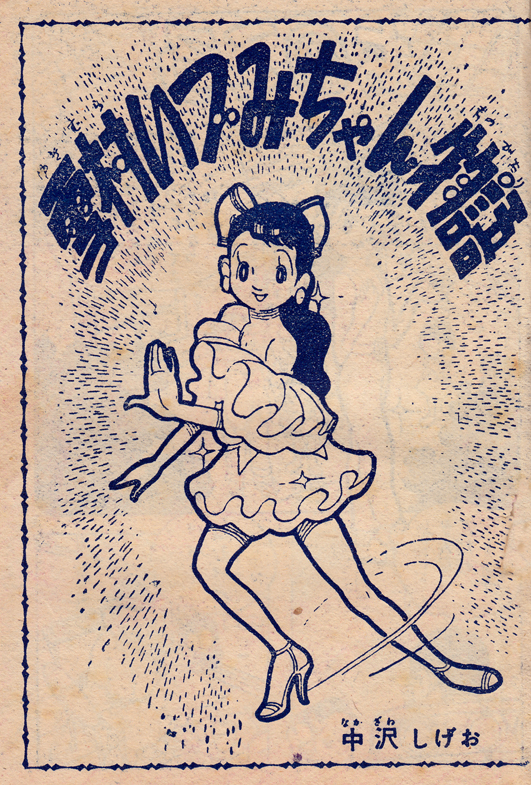 I got my hands on this Shōjo Club “supplement” from 1956. It’s a tiny paperback (4′ by 6″), poorly stapled (I basically had to pull the thing apart to get usable scans, which I hate to do). 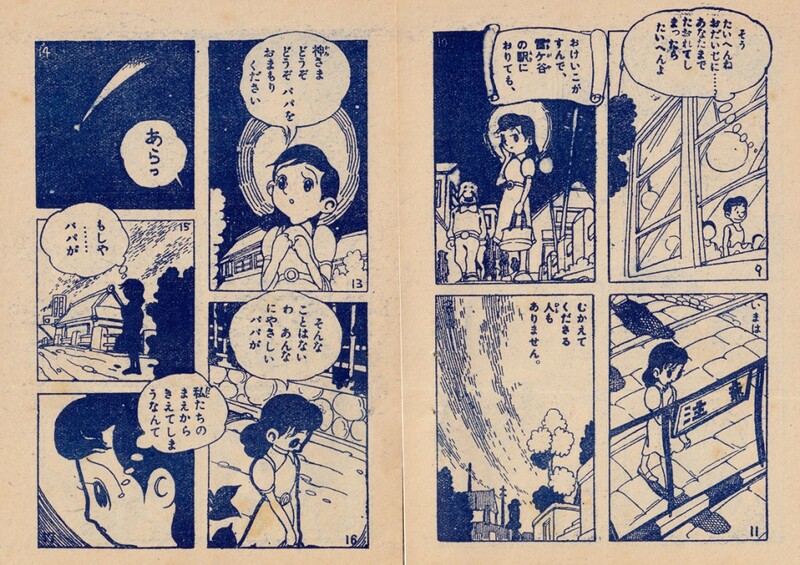 That contains a single long story, Yukimura izumi chan monogatari (Yukimura Izumi’s Story). 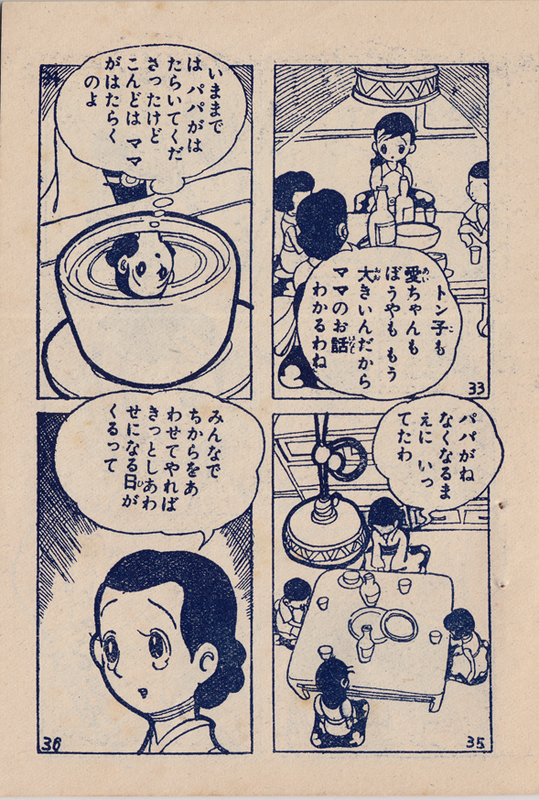 The artist is Nakazawa Shigeo (中沢しげお). I assume artist-writer, since there’s only one name credited. I don’t know anything about him, but there is some quite nice work here, with that introspective shōjo mood (see my previous post). I like the heavy line around the characters, and the nicely detailed settings, with various textures. 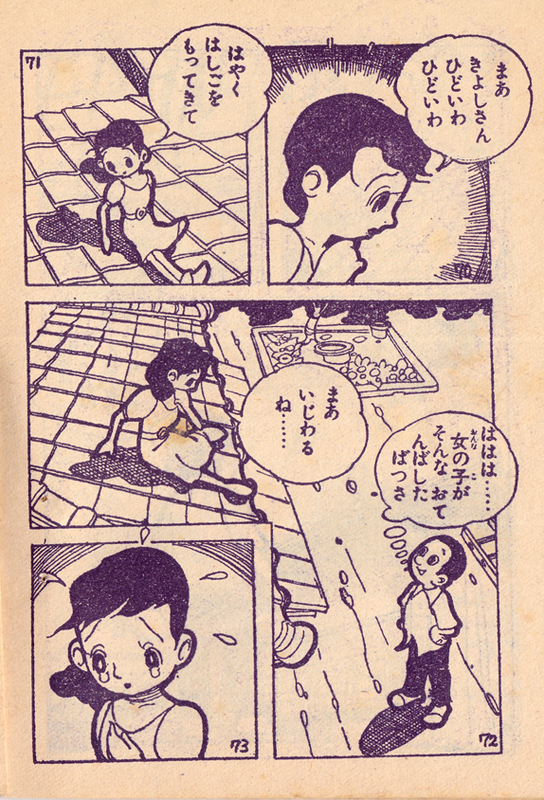 Also, I would say it’s a pretty sophisticated use of “camera angles,” for a kids’ comic from the mid-50s. Also, notice that they were still numbering the individual panels at this point. And I love the panel with Izumi’s reflection in the teacup as she’s thinking!